A smart thermostat can pay for itself in as little as one heating and cooling season, depending on your climate and energy usage habits. Most smart thermostat manufacturers claim that you’ll recoup the cost in about 2 years. Which smart thermostat is the best overall? We think the ecobee 3 smart WiFi thermostat is #1 because of its user friendly interface design, Power Extender Kit for compatibility with a huge range of HVAC systems (including those without a C-wire), and room temperature sensors. Read our ecobee3 smart WiFi thermostat review. What’s the cheapest smart thermostat? There are many smart thermostats priced at or around $100, and we think the best two are the Lux Geo and the Emerson Sensi. The Lux Geo is our favorite budget-friendly smart thermostat. It shares many features with more expensive WiFi enabled thermostats, including geofencing and sophisticated scheduling. It can also be run without a C-wire (use 2 AA Lithium batteries instead). Read our Lux Geo review here. The Emerson Sensi is also fantastic and it can be found for just over $100 at many retailers. 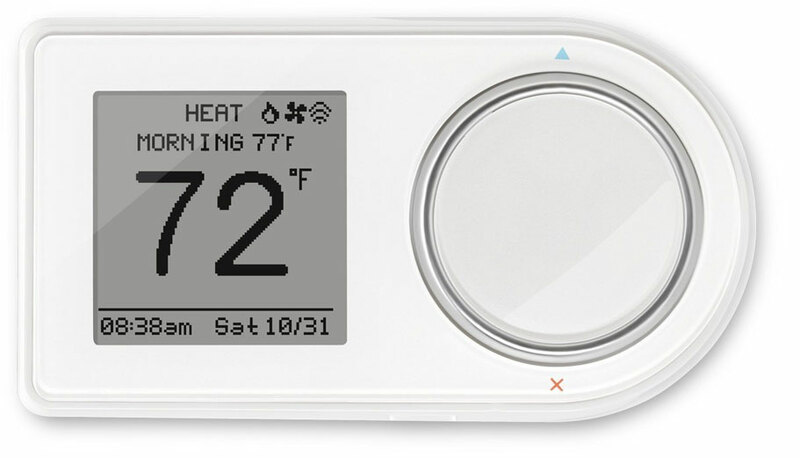 It has many of the same features as more expensive thermostats, including a full-featured app and integration with Amazon’s voice assistant, Alexa. Read our Emerson Sensi review. How hard is it to install a smart thermostat? If you already have the wires you need, installing a smart thermostat should be a simple DIY project. If you don’t have enough wires, or your system is only heating, you may need to add more wires or an adapter. The common wire (or “C-wire”) supplies 24V electricity to your thermostat. WiFi thermostats require more power than simpler thermostats, therefore, most WiFi thermostats require a C-wire. What color is the C-wire? While there are no standard colors for thermostat wiring, the C-wire is usually blue or black. Read our guide to C-wire identification. Which smart thermostats don’t require a C-wire? The Emerson Sensi smart thermostat does not require a C-wire, as long as your HVAC setup is both heating and cooling. The ecobee3 WiFi smart thermostat comes with a Power Extender Kit that makes up for a missing C-wire. You can also add a Venstar Add-a-Wire adapter to make up for a missing C-wire for any thermostat of your choice. Where can I get help with thermostat wiring? All of the major smart thermostat manufacturers provide some wiring assistance either through their website or a hotline, or both. YouTube is also an excellent resource for wiring guides and demos. Nearly all of the most popular smart thermostats are now compatible with Amazon’s voice-controlled assistant, “Alexa”. For a full list of WiFi thermostats that work with Alexa, click here.